Announcement Hi there and welcome! We're *SO* excited to virtually open our doors this week and for you to be here! 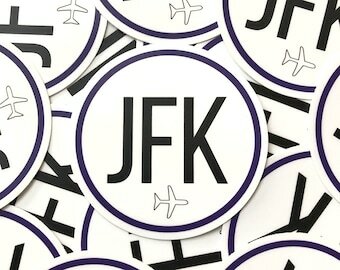 Send us a message if you have an airport code request. We love hearing from you! Stickers arrived quickly and nicely packaged. I love them! They are high quality and already on my laptop! Will purchase again. Whoah Nelly! 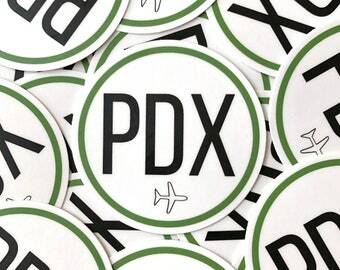 Calling all Seattle lovers! 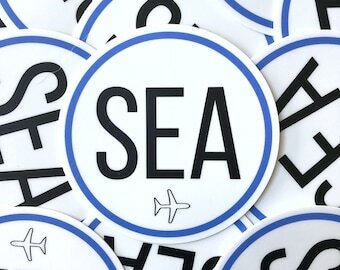 Our SEA, Seattle-Tacoma Airport stickers/decals are finally here! How fun are these? Where would you put it? Laptop? Suitcase? I've always been obsessed with travel, so much so I worked in aviation and hospitality for 10+ years! Even though I'm not currently in the industry, I've been enjoying the life of a Travel Blogger part-time over on @lifeinwanderlust_, which is where you may know me from! 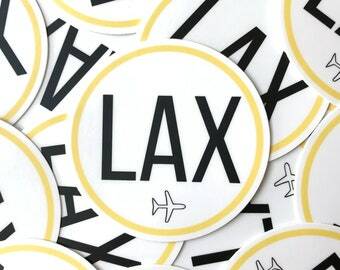 This print shop helps me print these amazing stickers!